There is a strong, silent mass movement grounded in spirituality, being lead by women across rural India, each working towards improving the life of rural women and through them of the communities. But there is a disconnect. They are not necessarily aware of this larger phenomenon, nor are many of us. It is illuminating to study these rural entrepreneurs and draw lessons. Their feminine energies encompass basic things like literacy and education, hygiene and health care, familys planning and child care, environment pollution and ecology, preserving local tribal culture, encouraging folk art and so on. Above all they instill self-confidence in rural women by providing skills that make for economic independence and a better quality of life. In the process they have to transgress many odds, taboos and superstitions. But their march towards gender equality goes on. Some of these patriot women of India are inspired by Gandhian ideals, some self motivated. It is their spiritual quotient "the small, silent inner voice" that guides them along. Some of the women are illiterate, but instinctively, they provide leadership and adopt good management practices, without having read modern day management gurus like Peter F. Drucker, Jack Welch or Sumantra Ghoshal. However, we hardly appreciate the silent revolution, spearheaded by these women often with meagre means, and the socio-economic impact their collective role has on shaping the future of India. In this volume, are included thirteen stories of women achievers from Maharashtra (6), Gujarat (3), Rajasthan (1), U ttaranchal (1), Karnataka (1), Tamil Nadu (1). Each followed a different route for upliftment of women, be it education or sharpening traditional skills. They come from different backgrounds, from abject poverty to well-to-do families. Some illiterate, some well qualified. Some top CEOs of India were invited to give their views from social and management angles on a story. They responded gallantly to our call. Their comments at the end of each story have added a valuable perspective. Where else would you get this constellation of CEOs commenting on the silent revolution taking place in rural India! They too are caring! We owe them a debt of gratitude for their contribution..
Poornima Pakvasa gave up a rich lifestyle and joined Gandhiji's struggle for Independence. She later adopted the tribals of Dang and has been working to make them self-reliant by imparting education physical, mental, aesthetic, intellectual and spiritual. Kanchan Parulekar brought joy and creativity to hundreds of women around Kolhapur through vocational education. 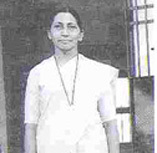 She established a school for school drop outs, made them employable and gave them dignity. She showed women the way to health, hygiene and economic independence. Geeta Maurya an outstanding woman, values education. She has trained veiled pahadi women of Uttaranchal, to climb the hills for distributing electricity bills, repairing meters, thus providing them income, identity and dignity. Hirbaiben Lobi , living close to Gir forest, is a Sidi woman, full of life, confidence and compassion. With her around, women feel secure that she can solve their problems. Helping women to be economically independent is her. calling. She has a powerful voice and a towering personality. Chetna Gala Sinha , from a Gujarati business family, inspired by Jaiprakash Narayan, settled in rural Maharahtra. She has succeeded in making the women capable of handling small businesses and running their own co-operative bank. No mean achievement. Mr.Ranjit Pandit calls her an 'entrepreneurial manager. Vibha Gupta , a Gandhian scholar has applied her technical knowledge to help develop implements that reduce the drudgery from the tasks of farm women. What is most impressive is that she encourages women to use these implements and has trained them as mechanics. Anandibai was unfortunate. She has no children. Widowed at age 58 she started an enterprise and has made a success of it, helping many other women to start ventures. Chinnapillai , a picture of simplicity. An illiterate, poor woman with a lot of commonsense and spirit of service has worked for imparting dignity to farm laborers of Tamil Nadu. Kusum Jain , a well loved leader, she has encouraged Rajasthani women to develop skills and made micro finance available to their ventures. They now enjoy a better status in society. Sister Wandana Dabhi , responding to the call of her faith, works in lucent ambience amongst the Vasavi tribe of Gujarat imparting self confidence and creating employment opportunities. 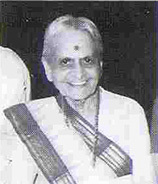 Shaila Amrute , left city life and moved to Dapoli. She has impacted the lives of women and men in the surrounding area, by offering scope for employment throughout the year, thus stopping migration. Susheelamma is a spiritual powerhouse working for village women. Her compassion is channelised constructively through her Ashram that provides solace as well as employment to women. 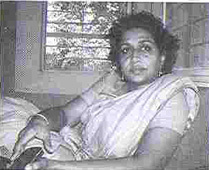 A revolutionary thinker she has even encouraged women to act as priests in her temple. Students of social and management studies who are woefully unaware of rural India will, I am sure, benefit from a comparative study of these women and the management practices followed by them. It would put them in touch with the ground realities. Encouraging rural women achieve their full potential would put India in a higher growth trajectory. In the developing world, India has been an exporter of appropriate technology in the field of manufacturing for many years. Perhaps, a development model can emerge from this upsurge of feminine energies in rural India that can benefit other weaker nations and accelerate social justice for their women.